For two videos released by the same group a mere five months apart, the clips for Los Rakas' "Sueño Americano" and "We Dem Rakaz (Hola)" can't get more tonally dissimilar. Armed with a track from the Oakland, Calif.-rooted, Panamanian-American hip-hopduo's 2014 record, El Negrito Dun Dun & Ricardo, the first clip chronicles the Panamanian immigrant experience going deathly off course. Tied to a gurney as he awaits an inevitable lethal injection, Raka Dun rhymes in Spanish about delinquency, desperation and denied chances to achieve the American dream. The footage flashes back to a pensive Dun in church, then to a botched store hold-up that ends with a clerk fatally shooting Dun's masked accomplice—presumably Raka Rich, his real-life older cousin and musical cohort—and Dun retaliating by murdering the clerk. Both the audio and the video are gray, bitter and elegiac. On the other hand, there's "We Dem Rakaz (Hola)," a celebratory, Auto-Tune-happy banger that remixes Wiz Khalifa's "We Dem Boyz" and is standard party music/local-pride fare. That video starts with Rich bicycling through Oakland side streets, flanked by his peers and, later, Dun. Each song/video is one side of the same coin, which speaks to the ideological disparity that lies at the root of Los Rakas' story. In 2001, a 14-year-old Abdull Rubén Domínguez—later known as Raka Dun—moved from Panama to the United States. Upon Dun's arrival in the Bay Area, he met his cousin Rico (aka Rich)—a California-born, ex-Panamanian citizen—at their aunt's place. Early on, Rich and Dun never talked about music, and they had little in common perspective-wise. Dun was just learning about black issues and history—slavery, segregation, the Civil Rights Movement, black pride—and was serious about his interests, while Rich was, as Dun puts it, "doing more crazy stuff in the streets." But, as time passed, Rich started becoming more interested in Dun's passions, and, as each grew open-minded, they began to bond. "That right there also explains the type of lyrics we do. We talk about everything," says Dun, 26. "Even though we like keeping it positive 'cause that's what we are, we've also got some negative lyrics 'cause that's where we've come from, that's the things we've seen where we grew up. Los Rakas is a balance. It's positive and negative, because we're not perfect." By 2005, the two had become solo rappers who connected, clicked and started working on material together well enough that a promoter wanted a package deal. 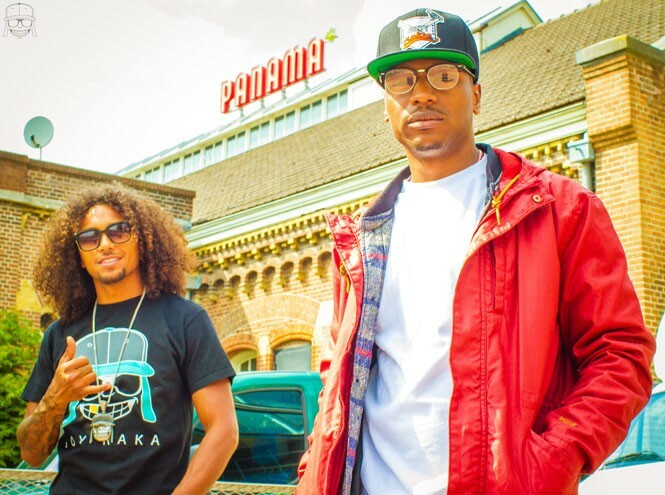 Drawing their name from the Panamanian slur "rakataka"—think "hood rat" or someone from the ghetto—Los Rakas debuted with 2006's PanaBay Twist and have since come to self-identify their style as "PanaBay." Fundamentally, it's hip-hop, but it's liberally seasoned with dance hall (of Jamaican origin), plena (of Puerto Rican), salsa (of a mixed Latin American background), reggaeton (of Panamian), Caribbean soca and '90s-style R&B. The flavors are big, lively, versatile and constantly on the move. Los Rakas rap in Spanish much more often than in English, creating a possible barrier to entry for English-speaking audiences, but that doesn't worry and won't sway Dun. "In Panama, they play a lot of reggae, a lot of dancehall. We don't understand it, but we sing and listen to that song like we understand every word he's saying," he says. "They play a lot of Haitian music. We don't understand it, but we sing it, and the whole family's dancing to it. The way we learned how to do music was among people that only do music in English, so we take the same approach they do, but in Spanish, so when the English speaker listens to our music, they're going to be like, 'I don't understand it, but it sounds familiar.'" Those roots in genre- and culture-bending, and appreciating the foreign, are crucial to Dun and his aspirations for Los Rakas. "I just want to be able to travel the world with our music. That's really it, man," he says. "If we get a big hit, a couple of big hits, that's extra for me. I really want to be able to make good music—not hits, [but] good music—and just travel the world, and have people in Africa, people in Asia, people in Europe and America moving to our sound."